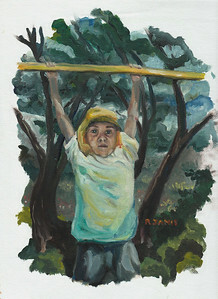 RJ drawing... A Coureurs de bois that wins a Samurai in a poker game and comes to Canada for the gold rush, or something. 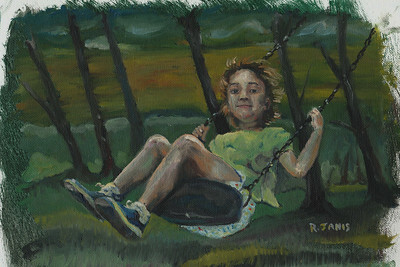 RJ oil painting, swinging in park. 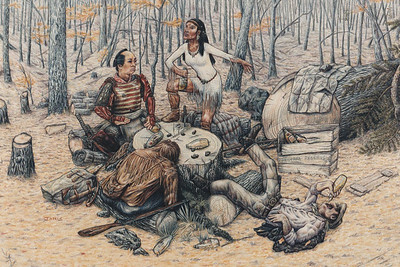 A Coureurs de bois that wins a Samurai in a poker game and comes to Canada for the gold rush, or something.